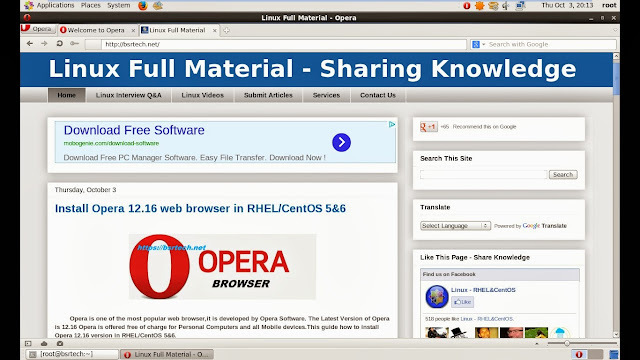 Opera is one of the most popular web browser,it is developed by Opera Software. 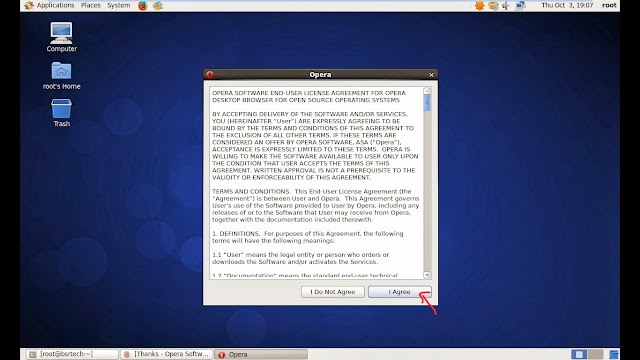 The Latest Version of Opera is 12.16 Opera is offered free of charge for Personal Computers and all Mobile devices.This guide how to install Opera 12.16 version in RHEL/CentOS 5&6. 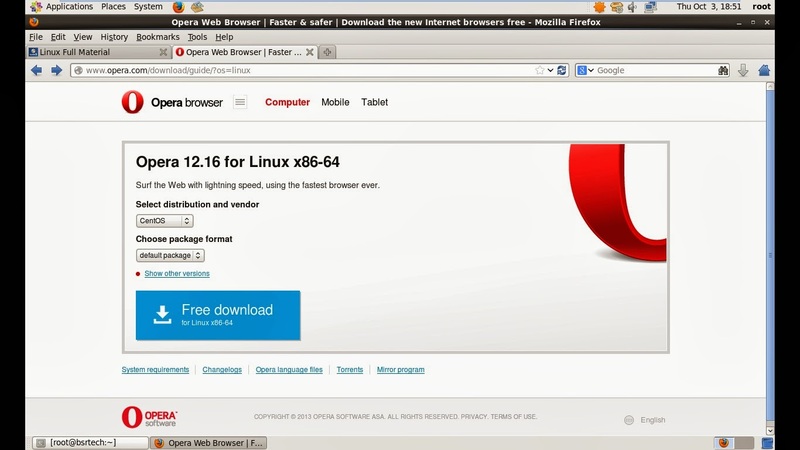 Opera will run on any modern Linux distribution and FreeBSD 7 or later with Xorg installed, on i386 and x86_64 CPUs. 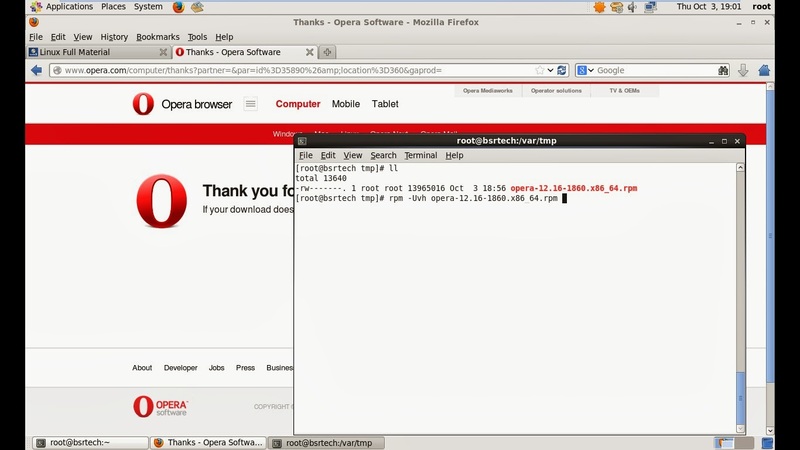 Opera may run on older hardware or an older version of an operating system, it is likely that it will be less usable. 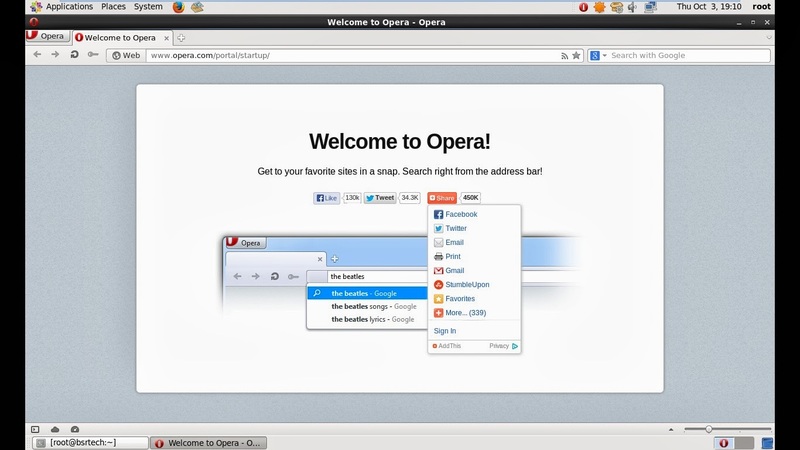 Opera Web browser is successfully installed, Open opera in terminal or go to Application Menu -> Internet -> Opera.